This week, members of Brooklyn’s Greene Hill Food Co-Op called for a ban on the sale of Eden Foods’ soy milk. That’s because the organic food company’s CEO, Michael Potter, has spent the past month railing against Obama’s Affordable Care Act. Potter filed a lawsuit on March 20 challenging the mandate that companies must cover the cost of contraception for their employees. He’s arguing that because he’s a devout Catholic, his religious beliefs prevent him from paying for birth control. Potter and his conservative Catholic legal firm state in the court filings that his rights have been violated under the First Amendment, the Religious Freedom Restoration Act, and the Administrative Procedure Act — so he should be exempt from paying for contraception. 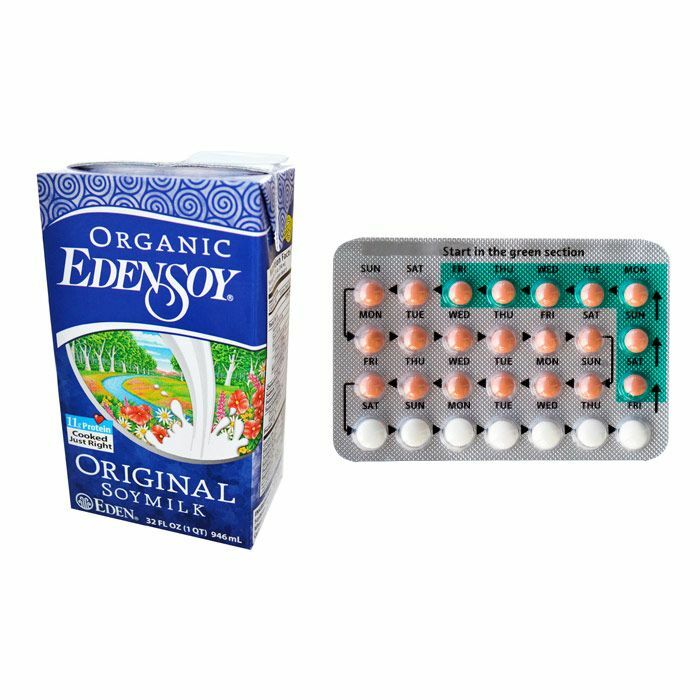 Eden Foods isn’t the first company to challenge the Obama administration on this mandate: Seventeen for-profit companies have received temporary exemptions. But now, in the interim before the hearing on May 10, Potter can’t keep his mouth shut. He’s debilitating his own legal argument. I’ve got more interest in good quality long underwear than I have in birth control pills … Because I’m a man, number one and it’s really none of my business what women do … Because I don’t care if the federal government is telling me to buy my employees Jack Daniel’s or birth control. What gives them the right to tell me that I have to do that? That’s my issue, that’s what I object to, and that’s the beginning and end of the story. Following Carmon’s second story, Think Progress’s Ian Millhiser pointed out that Potter’s statements could undermine his entire lawsuit. Potter only has a case if his objection to birth control is based on religious beliefs. It seems that Potter cares more about the overreach of government, not his Catholicism. Then, Potter dug himself into a deeper hole. For Carmon’s third story on the topic on April 18, she asked him, “What particular belief leads you to oppose this regulation?” He responded, “Well, there isn’t any one particular religious belief, Irin. I find it hard to get my head around the question.” Noted! He should be worried: There’s an army of angry customers attacking Potter on Eden Foods’ Facebook page: Comments include “Boycott! Hates women” and “I was a loyal customer for 15 years. I am appalled by your stand on contraception.” If Potter continues to come off conflicted about his motif and decision to sue, he’ll isolate his conservative customers, too. Potter’s products are described in the lawsuit as “wholesome, principled, unrivaled, nurturing, pure” — adjectives he’ll probably use in court to describe how he thinks all women should be. The Greene Hill Food Co-Op ban would only impact 1,225 people. But the shop is an offshoot of the Park Slope Food Co-op, which has a whopping 15,000 participants. The backlash against Eden Foods is only going to increase and intensify.